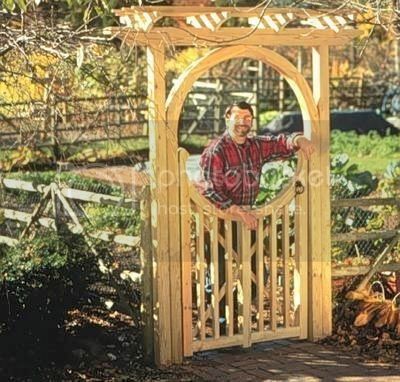 Norm couldn't resist bringing the romantic design of this garden gateway back from a visit to a historic New England village. This ambitious outdoor project features a spindled gateway and is complemented by a pergola and a trellis that frames the garden view. Norm builds this outdoor project out of common, pressure-treated pine to ensure that it will last through years of sunshine, rain, and snow. In the process, he demonstrates how to join wood segments together with splines to form the elegant archway.